Following are the reasons given: “It takes too much time to keep track of my diet.” The irony of this statement is that your body keeps perfect track of what you eat. All you need to do is look down at your waistline to get a report. Why be lazy and shirk your responsibility? The biggest lesson we try to give our kids growing up is that ‘actions have consequences.’ That certainly applies to eating. As it says on my How to Lose Weight – and Keep it Off page, “Everything you eat becomes a part of you.” You owe it to yourself to pay attention to the impact of your choices. You can’t escape them. 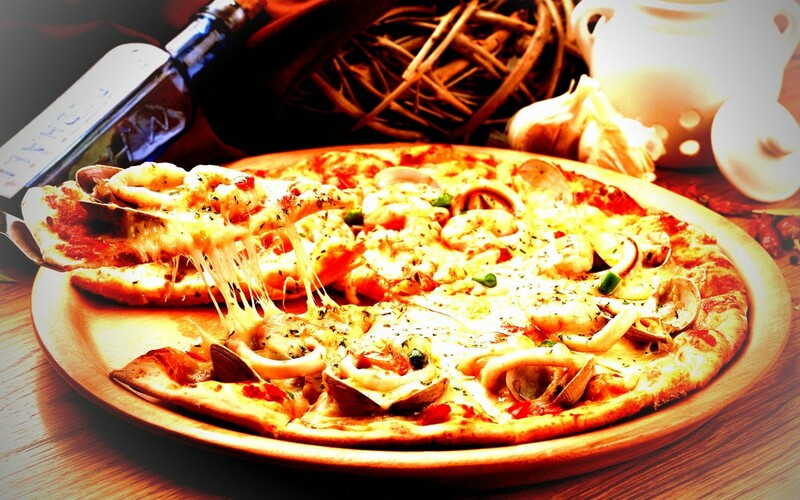 Pizza, while delicious, is very easy to overeat with its fats and high carbs. “I don’t know or understand the guidelines for diet and nutrition.” Visiting this blog is a good first step. I have been studying diet and nutrition for decades and still learn something new every day. Be patient. There are good sources of this information all around you. And, most of it is free on the web. You just need to decide you will make the effort. “I don’t want to give up the foods I like.” Are they good tasting, or good for you? As an adult you should know the answer to that. And, if they are not good nutritionally, perhaps you can enjoy them in moderation. When I was young, I had pizza several times a week. I was a runner at the time and could burn off the calories, but I was taking in a lot of bad fats that I didn’t think about. As I got older and (slightly) wiser, I cut back. I still love it, but I don’t eat it that often. “I am satisfied with the way I currently eat.” If you have healthy cholesterol and blood work (blood test results from your annual physical) and your waist doesn’t hang over your belt and you can walk up a flight of stairs without getting winded, maybe you are eating right. But, if not, what’s to be satisfied about? As an older guy, I can assure you that as you age the margin of error narrows drastically. Your body doesn’t have the resources it did when you were young. You need to pay attention to what you are eating or you are in for some very unpleasant surprises before very long. “I need more practical tips to help me eat right.” LOL You’ve come to the right place. I have been sharing this kind of info for some years now and you are welcome to come along for the ride. No charge.